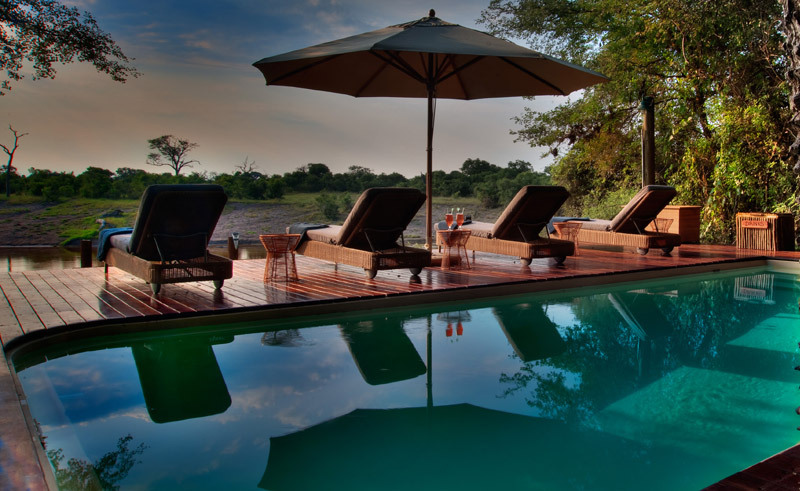 In the heart of Chobe National Park, Savute Safari Lodge peers out from ancient camelthorn trees on the shore of the Savute Channel, Botswana’s fabled ‘stolen river’ which dried out more than 20 years ago, but now flows once again. 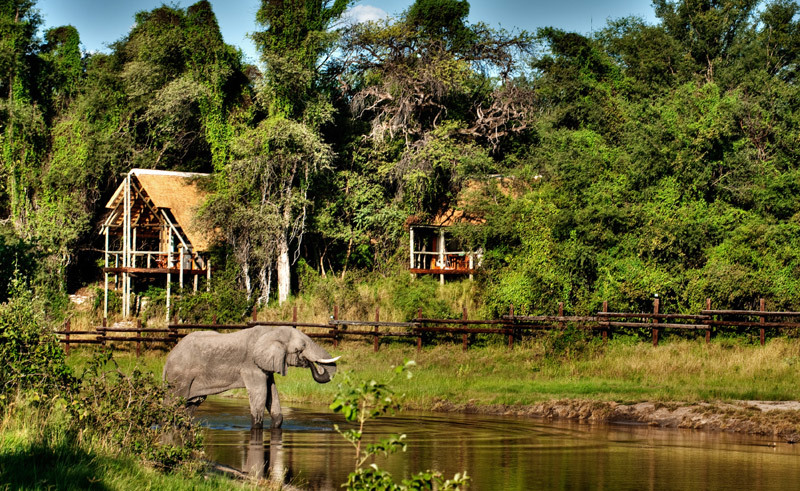 The Savute channel forms part of the dynamic Savute eco system renowned for its large concentration of elephant and lion and their extraordinary relationship. 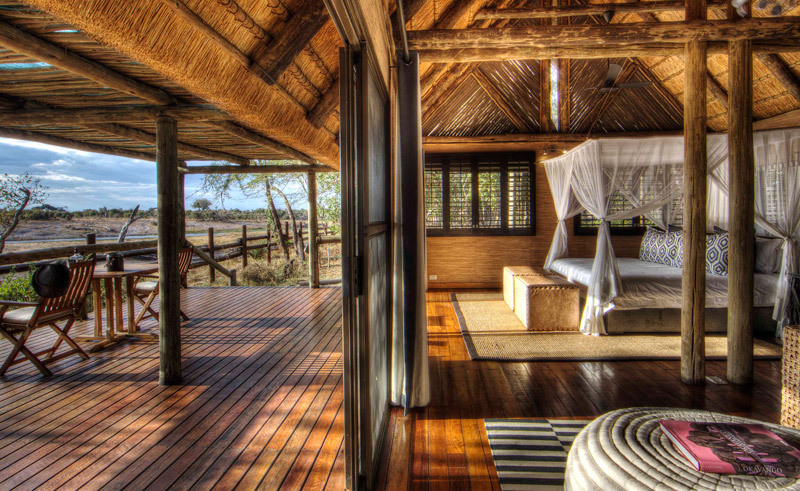 The lodge has twelve tastefully furnished twin bedded suites, with spacious interiors offering a lounge area, en-suite bathrooms, private decks and large glass sliding doors and windows, which set the lodge apart from typical safari accommodation. The lounge, library and cocktail bar are situated in the thatch and timber main building overlooking the channel as well as a viewing deck, outdoor dining area and swimming pool. Activities focus on game drives in open 4×4 safari vehicles in the Savute area including the Savute Marsh and the ancient San rock paintings at Gubatsa Hills. Being situated in the National Park, no night activities are permitted, with the afternoon drive returning just after sunset. 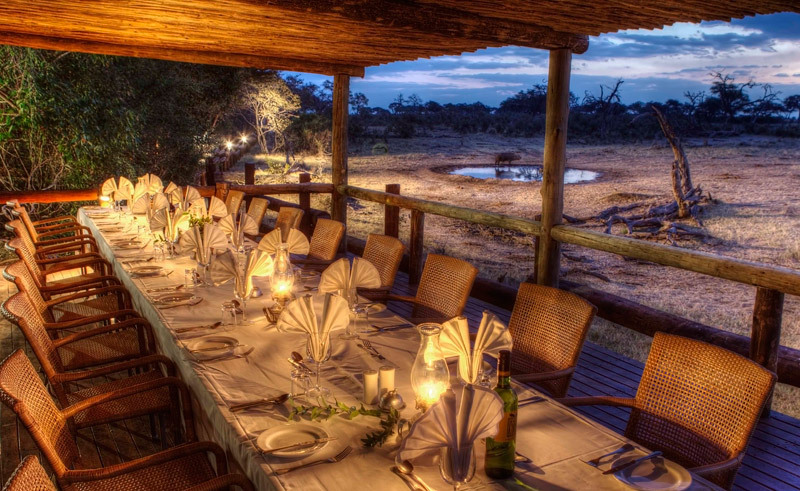 The dry winter months offer incredible game viewing as the parched wildlife congregates at the water holes and river to drink – here you may witness the famed elephant-hunting lions in action. The summer rains in Savute bring a fresh feast for lion, hyaena and cheetah as thousands of migrating zebra and wildebeest arrive in search of the rain rich grasslands of the Savute Marsh.